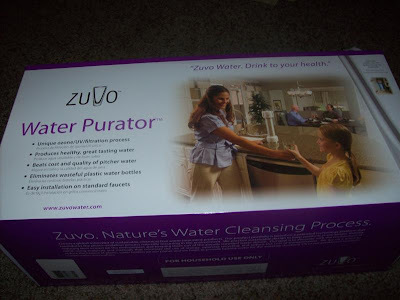 I was very excited when Zuvo agreed to send me one of their neat looking water filters! I have never owned a special water filter so I was eager to try it. As a nutritionist, I obviously think that people should cut down on sugary drinks and drink water instead. I am NOT a fan of bottled water. I would not be going and spending money on expensive water when you can get it right out of the tap. Some people do not like the taste of their water or it may not be safe to drink depending on where you live. This is where the Zuvo comes in. It helps to filter the water and is wonderful! You can fill up regular glasses with it or fill up a reusable water bottle and it saves tons of money because you don't have to buy water bottles any more. This product can go under the counter or above the counter. It is easy to install and attaches to most standard faucets. It helps to give you clean good tasting water. 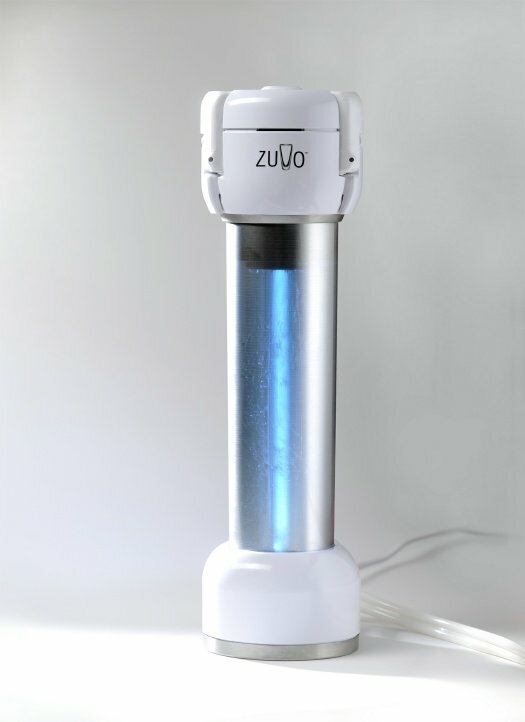 Here is what the company has to say about Zuvo "It is an easy-to-install, cost-effective device ($.06 per gallon, compared to more than $1 per gallon for bottled water, over the course of a year) not requiring interim plastic pitchers or chemical additives. As an added bonus, eliminating the use of bottled water helps reduce the 32.8 billion water bottles that end up in landfills every year and it requires fewer filter changes that the famous name brand filter systems on the market." I LOVE my new Zuvo! Look for a giveaway hopefully tomorrow!